SAN FRANCISCO — Kimochi Inc. will present its annual fundraiser, “Sansei Live,” on Saturday, Oct. 18, from 6:30 p.m. to midnight at the Hotel Kabuki, 1625 Post St. (at Laguna) in San Francisco Japantown. “Sansei Live” is the once-a-year party celebrating the people, culture and heritage of San Francisco’s Japantown and supporting Kimochi’s programs for the elderly. This is a community event open to anyone who wants to eat, drink, mingle, dance, and surround yourself with people who love the community. 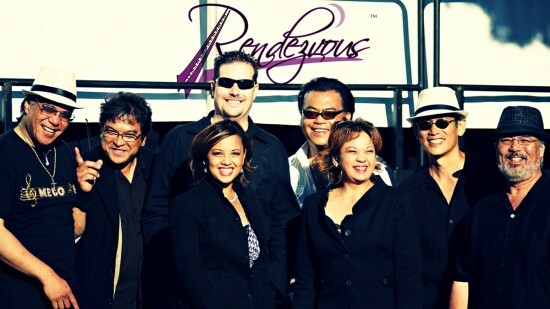 On the main stage, live music will be provided by Rendezvous and Big City Revue. Bringing the party to Bay Area events since 1995, Rendezvous has been igniting the dance floors and getting crowds to jump out of their seats with their vibrant vocals and highly spirited, upbeat performances. Whether it’s R&B, Motown, rock, disco, cha-cha or Top 40, they are sure to get you shaking your hips and tapping your feet to your all-time favorites as you dance the day and night away. Big City Revue’s unparalleled passion and enthusiasm to entertain, combined with solid, stellar performances, keeps this band in constant demand. They have been invited to play all over the world — from New York to Maui, from Venezuela to Cancun — delivering their own diversified and dynamic musical style of Motown ’60s, Disco ’70s, ’80s Retro, ’90s and current hits. The Yonsei Lounge will feature DJ John Jow and The Les, resident DJ for 99.7 Now. DJ John Jow has been providing sound and DJ services for weddings, corporate events, nightclubs, fundraisers and special celebrations for over 20 years. He has a deep passion and appreciation for music and is dedicated to making each event a memorable one. Along with his years of experience and extensive knowledge of music, he is also a sound engineer, so he knows what good sound is supposed to be. The Les has traveled across the country to mix in such places as Las Vegas, New York, Los Angeles, San Diego, Hawaii and Charlotte. The Bay Area hometown hero has shared the stage with prominent acts such as Kid Cudi, The Black Eyed Peas, Mos Def, Jermaine Dupri, The Roots, Goapele, 112, and The Clipse. His ability to mix, scratch, throw successful events, and produce original remixes makes him one of the premier talents in the entertainment industry today. There will also be an opportunity to learn line dancing from one of the Bay Area’s best teachers, Al Kitashima. A raffle drawing will be held with $1,000 as the grand prize. Ticket-holders need not be present to win. General admission: $75. Purchase tickets online at www.sanseilive.com. Contact Kelly Mayed at [email protected] for group pricing. Tickets are also available at the Kimochi office, 1715 Buchanan St. (between Post and Sutter) in Japantown. Parking is available at the Japan Center Garage, which will be open until 2:30 a.m.
Sponsors include Sutter Health CPMC, Union Bank, PG&E, United Airlines, Dignity Health, AT&T, Japan Airlines, Mary Ishisaki, Sundance Kabuki Cinemas, and AARP.